Decorator Charlotte Moss signing copies of her new book at the Ralph Lauren women's store this week. 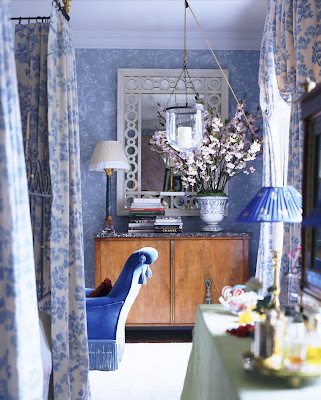 "Decorating is a personal art, and your house is your studio, where there are no boundaries." This week I hightailed it uptown to the new Ralph Lauren women's store on Madison Avenue for a party celebrating decorator Charlotte Moss's new book. Ralph Lauren "store" doesn't quite cover it because the building is pretty amazing but more about that later. 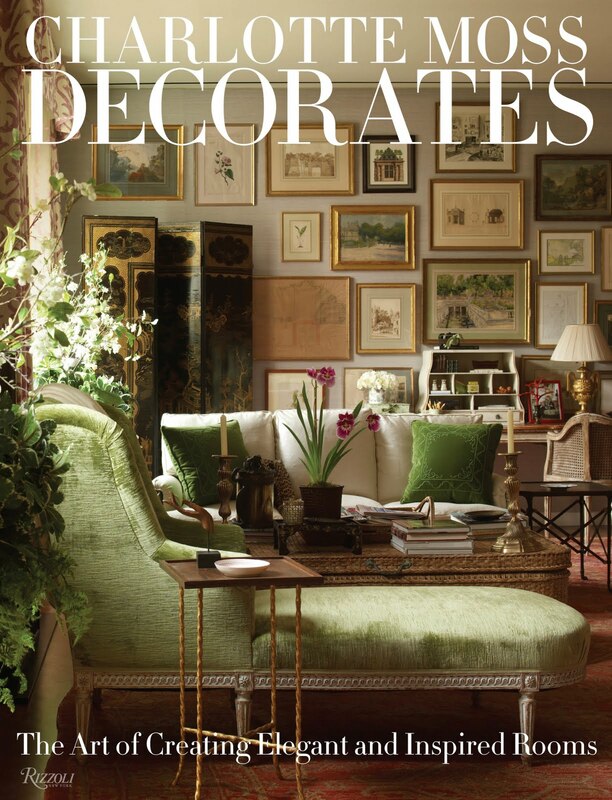 Charlotte Moss you know is the great American decorator who specializes in interiors that are luxurious, elegant, and welcoming. 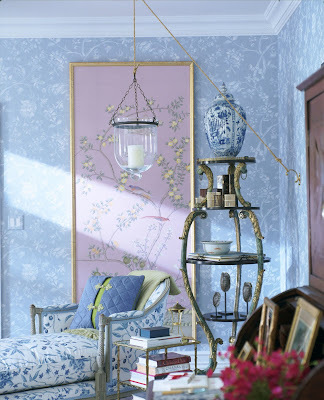 A Charlotte Moss room is a masterful composition with rich layers of textiles, colors, art and antiques – a thoroughly modern Edwardian take. Her new book, Charlotte Moss Decorates (Rizzoli), written with Mitchell Owens, is her seventh. "Every book is different and this book was intended to address the muse in design and the thought process that follows," said Charlotte, who was wearing a very chic black hammered Swiss silk eyelet cage jacket by Lee Anderson. I asked her how a person could create more style or beauty in their life. "From the moment you wake up, everything you do, everything you see, everything you touch should express just that... beauty," she said. "It is how you carry yourself, how you dress, how you decorate, entertain, and how you write a letter... The smallest gestures are where to begin... start small!" obsessed with everything from Madame de Pompadour's private rooms at Versailles to the kind of flowers Jackie Kennedy used at the White House." But when I left I took the staircase down, which was quite amazing. At the corner of Madison Avenue and 72nd Street, Ralph Lauren built from scratch this limestone store that complements the Rhinelander Mansion across the street which now houses just the men's collections. This women's store opened last summer but it looks like it has been here forever. The limestone steps and handwrought French metal railings evoke a Parisian department store from the turn of the last century. Here is the ground floor near the front door. I love the silk pleated lamp shades and simple palette of white and black in this store which contrasts with the rich, deep colors of the men's store across the street. This is a view toward the jewelry salon, with Ralph Lauren staff in black and waiters in white. Trés chic. Visit this beautiful store if you are in New York, and pick up Charlotte Moss's gorgeous book, on sale on the fourth floor. I recently purchased Moss’s book and thoroughly enjoyed reading it. I think Ralph Lauren’s showroom is the perfect location to host the launch of her new book. As you mentioned, it’s amazing! Picture of Elegance - It was a good match!